The blue screen of “Windows is installing updates” is one of the most hated by users, because during that time you can not use your computer at all. But now Microsoft is working on several changes that will come to Windows Update and affect how the update process occurs when you install a new version. As they have explained in the announcements of the center of opinions, thanks to the changes they have made, the time that passes without you being able to use your PC when Windows is being updated, will be significantly reduced. 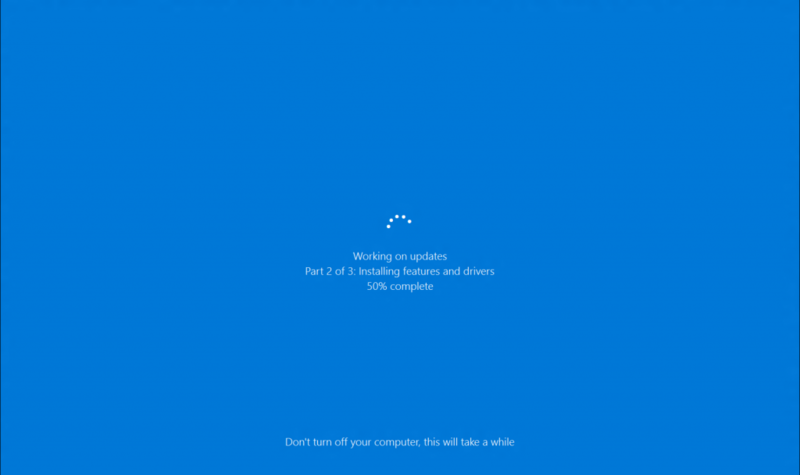 The Windows update process has two phases: an online phase and an offline phase . During the online phase the user can use his computer, during the offline phase we see the insufferable screen and wait. The computer restarts and completes the update. Currently Windows Update has a longer offline process than the online process, the new form reverses the roles, and although it might seem that in general the update process will now last longer , what matters is that the offline phase will last less. The members of the Insider program can now enjoy the new process from a couple of builds. When the Fall Creators Update arrives this fall, the behavior of Windows Update will work this way.